Do you have a business in Mesa, Flagstaff, Tempe, Scottsdale or the greater Phoenix area that makes use of a garage door? 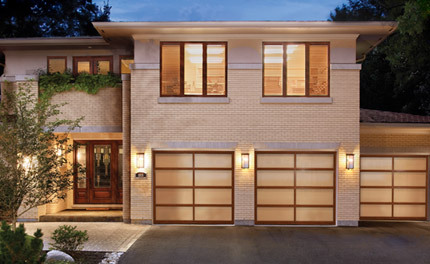 If you have one or more garage doors, sooner or later you are going to need commercial door repair service. Whether your doors are old and worn out or are damaged in some way, there is no way to avoid needing some kind of commercial door repair. Mesa, Arizona, businesses and other businesses in Phoenix and surrounding areas can call on Stapley Action Garage Door for all their commercial garage door repair service needs. Stapley Action Garage Door has been providing quality residential and commercial door repair in Phoenix, Mesa and surrounding areas for more than 30 years. We have experience with virtually every kind of commercial garage door, so whether you need commercial door repair service for your restaurant, gas station, warehouse, factory or any other business, Stapley Action Garage Door can help. Our team of knowledgeable customer service representatives will deliver a fast response in scheduling an appoint for a free estimate for your commercial garage door repair. If you’re having any problem with your commercial garage door, from a broken spring to damaged panels or anything in between, get in touch with us and we’ll be over to fix it in an efficient and timely manner. Our technicians are highly trained to provide not only the most effective repair techniques, but also to give you the utmost in customer service. Your satisfaction is our top priority, which is why we’ll provide a free, fair and accurate estimate for your repair before we start working, and why our technicians are prepared to keep you apprised of the repair process every step of the way so you know exactly what you’re getting. While the repair is happening, our technicians will be as unobtrusive as possible so you can continue with your business. When the repair is finished, you’ll have a fully functional commercial door once again so workflow can go back to normal. Noisy Door: If your commercial door is making a lot of noise as it opens and closes, it can be distracting for workers, and clients or partners may be reluctant to visit your facility. Also, a noisy door can be indicative of a larger problem that may lead to greater repair expense if left unaddressed. Slow Door: If your door is opening or closing too slowly, it can be incredibly frustrating and also put a severe damper on productivity. That slowdown of workflow can add up and cost you profits. Stuck Door: A stuck commercial door can be a huge problem for your business. If the door is stuck closed, it’s useless. If it’s stuck open, unauthorized individuals have complete access to your facility. If it’s stuck in between, it can create both a security and a safety issue, as the door might come down suddenly with people or property underneath it. Garage doors are often a critical entrance point for busy restaurants, as well as a first line of defense against theft and illegal entry. A broken garage door or malfunctioning garage door opener is not only a safety and security liability. A door that won’t open, close or operate the way you need it to can have a major impact on your ability to efficiently run your business. At Stapley Action Garage Door, we have extensive experience repairing and replacing garage doors for bars, pubs, cafes and eateries of all types and sizes across the region. Our technicians are prepared to repair roll up sheet doors, roll-up service doors, security grilles and counter doors and shutters commonly utilized in the restaurant industry. All work is performed as quickly and quietly as possible to minimize disruptions to customer and employees. Mesa, AZ is home to numerous warehousing operations that rely on properly functioning garage doors to keep things running smoothly. Garage doors in warehouses are put under the stress of heavy daily use and are susceptible to impact from service vehicles, material handling equipment, and machinery. Warehouse Garage Door Repairs: From broken cables and bent tracks to panel repairs, section replacement and everything in between, we’ve seen it all and can fix just about anything relating to a commercial garage system. Our seasoned technicians have experience working on all different makes, models, and types of warehouse garage doors. Garage Door Opener Repairs: When your garage isn’t working correctly and there are no signs of damage, it’s likely the opener that’s giving you trouble. Whether your opener isn’t running smoothly, is unreliable or doesn’t work at all, our warehouse garage door repair experts can assist in accurately diagnosing the problem to identify the most cost-effective solution. Commercial Garage Door Spring Replacement: Whether you have a door with a damaged torsion spring or something else is causing you trouble, our professional team will be able to quickly put our finger on the problem. We specialize in expert garage door spring replacement services to mitigate safety concerns and extend the service life of your garage door. Stapley Action Garage Door can fix all of the problems you’re experiencing with your garage quickly, effectively and affordably, so there’s no reason to wait to take care of whatever your commercial door issue may be. Whether you require a restaurant garage door repair in Mesa, AZ or a warehouse garage door repair in Chandler, Flagstaff, Gilbert or Scottsdale, we offer a fast response and solutions to fit virtually any budget. For a free estimate on the best commercial garage door repair services in Phoenix, Arizona, and the surrounding areas, contact Stapley Action Garage Door today or call us at 480-655-1255. Our friendly and professional team will be happy to answer all your questions and assist with scheduling the commercial garage door services you require.